Set in the heart of the Andaman Sea, Phuket is Thailand's largest island and fondly known as the Pearl of the Andaman. Situated north of the Surin Beach headland and on the island's west coast, Pansea Beach is still a hidden gem. 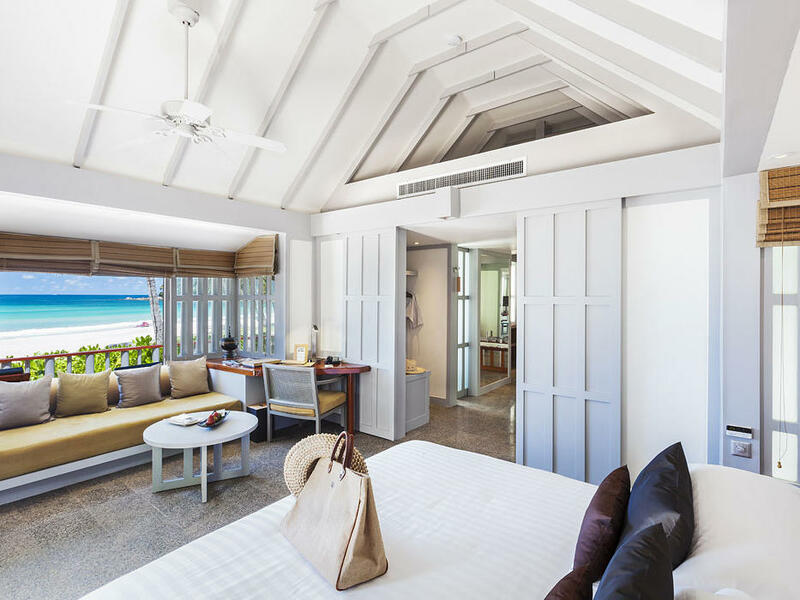 Only one other luxury resort shares the private bay with its clear turquoise waters and pristine white sand beach with exclusive access for guests only. Conceived in 1982, the resort was an early pioneer that brought a new level of luxury to the exotic tropical island that was relatively undiscovered at that time. Originally known as The Pansea due to its exceptional location along the fine white sand of Pansea Beach, The Surin Phuket has been revitalised over the years under the careful guidance of Ed Tuttle, one of America's most renowned architect. The Paris-based architect and designer maintains respect for both the local culture and his own architectural philosophy in ensuring that wherever one looks, an interesting perspective can be seen. His intuitive vision has ensured that The Surin Phuket remains as a timeless and classically elegant hideaway that it was conceptualised to be. Guests are assured of an unpretentious and casual ambience complemented by high service standards against the unspoilt, lush backdrop that has remained unchanged through the years. Discover the beauty and charm of Phuket whilst taking the time to enjoy a stay in one of our delightful cottages or suites, all set within a tropical coconut grove and just a stone’s throw to the beach. Shaded by a canopy of coconut trees and joined together by a network of walkways, our Hillside Cottages are for guests who wish to indulge in a tropical experience. The Beach Deluxe Suites and Studios are the idyllic setting for couples and families who wish to be serenaded by the gentle lullaby of the sea and step directly onto the beach. 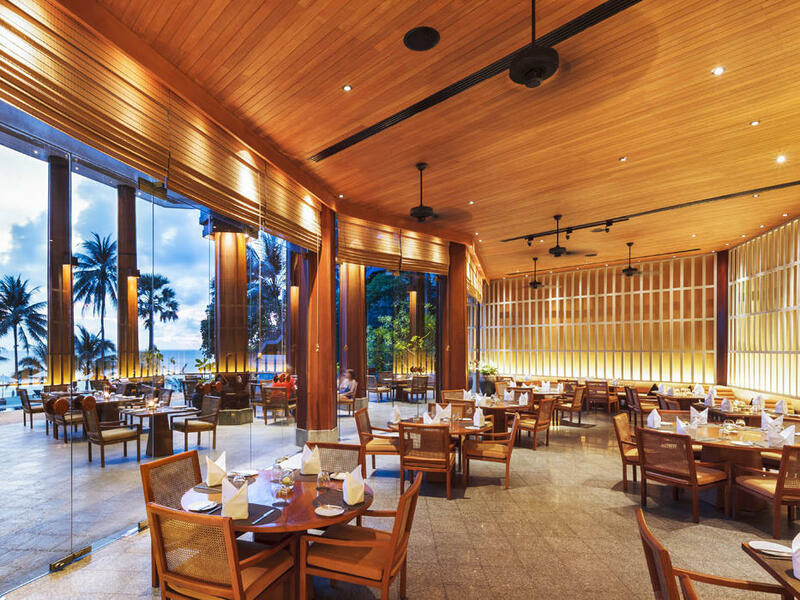 With a focus on freshness and local flavours, dining at any of The Surin Phuket's restaurants and bars is scenic; offering Thai cuisine or delectable Western fare. Lomtalay Restaurant serves an extensive buffet breakfast, while the Sunset Café offers an all-day dining menu for lunch and throughout the afternoon, followed by Mediterranean and international cuisine for dinner. The Sunset Bar and the Beach Bar are meeting points for an aperitif before dinner and are the best venues to enjoy the spectacular sunset. Enjoy a romantic dinner at Beach Restaurant; al fresco under the stars on our lush manicured lawn serenaded by soothing waves while indulging in a meal of authentic Thai cuisine or fresh grilled seafood and barbecue. The peaceful setting of The Surin Spa was created with thoughtful intention, in harmony with the natural surroundings where each spa cottage with double treatment beds is nestled around huge granite boulders and lush jungle foliage. Your rejuvenation journey begins with an escorted trip to our hillside spa hideaway, a heaven of calm and serenity where everyday stresses are left behind. Graceful therapists offer personal consultation services and a wonderful range of holistic spa treatments that has been crafted for all needs.